Conference interpreters can be hired through consultant interpreters, and through various language service companies and simultaneous interpretation equipment suppliers. Because conference interpreting is a service, and you cannot test it before you buy it, it is important to be able to recognize signs of competence in a conference interpreter provider. 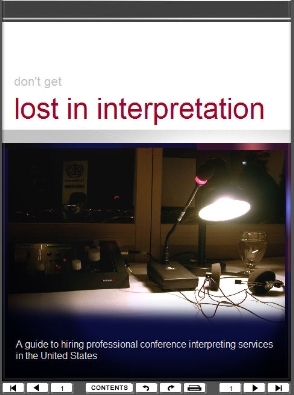 AIIC consultant interpreters are specialized conference interpreter providers. They can advise on number of interpreters, best interpreting mode, simultaneous interpretation equipment, and other technical and professional matters. 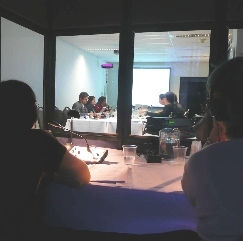 Because they themselves are interpreters, they have first-hand knowledge of the conference situation and of other interpreters’ skills and qualities. AIIC consultant interpreters in the U.S.A.